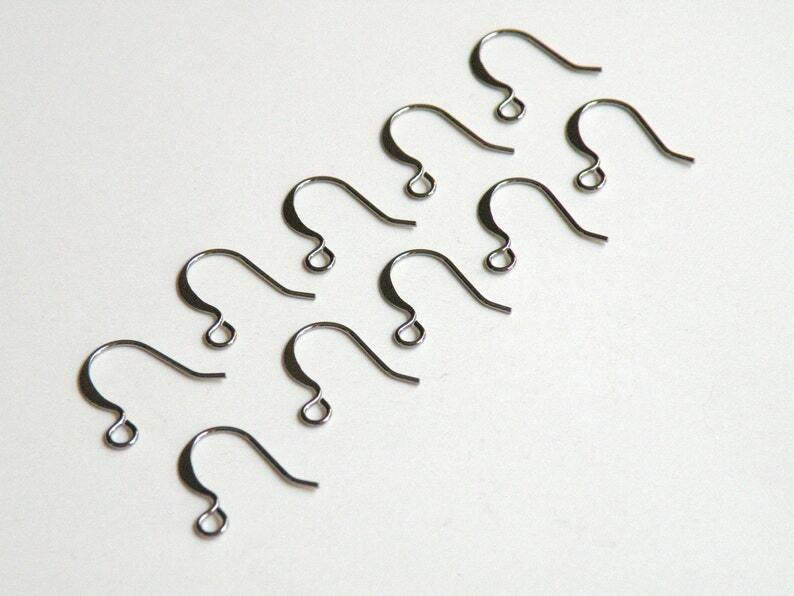 Shiny gunmetal or dark gray plated brass flat french hook or fishhook earrings open loop 15mm 21 gauge. Tarnish resistant with a long-lasting shine. Fast shipping, exactly as described! Fast shipping! Exactly as described! Just what I needed! Excellent quality. Thank you. Love Them - will definitely order again. Love it -- Will order again.